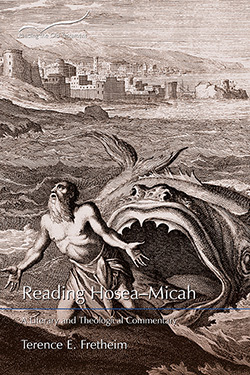 In this volume in the Reading the Old Testament commentary series, Terence E. Fretheim explores themes of indictment, judgment, and salvation in Hosea–Micah. The indictment against the people of God especially involves issues of idolatry, as well as abuse of the poor and needy. The effects of such behaviors are often horrendous in their severity. While God is often the subject of such judgments, the consequences, like fruit, grow out of the deed itself. Issues of indictment and judgment are not finally ends in themselves, but in the service of the salvation of God. Terence E. Fretheim is Elva B. Lovell Professor of Old Testament Emeritus at Luther Seminary in St. Paul, Minnesota. He graduated from Luther College (BA, 1956), Luther Theological Seminary (BD, 1960), and Princeton Theological Seminary (PhD, 1967). He has taught at Augsburg College and Theological Seminary (1961–1963, 1967–1968) and Luther Seminary (1968–2013). Through the years he has taught for shorter periods of time at several theological schools in the US and also abroad (Malaysia; Hong Kong; Cairo). He has been a speaker at numerous church gatherings across the country. 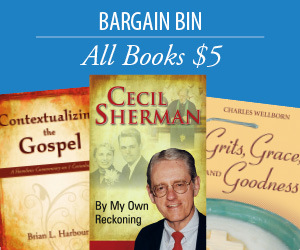 He is the author of 23 books, including Jeremiah in the Smyth & Helwys Bible Commentary Series. The Smyth & Helwys series is a perfect venue for Fretheim’s interpretive skills. He is among the best readers of texts now at work, and here his consummate skill is everywhere evident. In addition to the nuts and bolts of historical criticism that he handles succinctly, he moves readily into the rhetorical strategies performed in the text and finally to his forte of theological interpretation. His exposition is a welcome and reliable probe of difficult texts that continue, he makes clear, to insist upon their own compelling contemporaneity.